Both teams were victorious in their sectional semifinal meets on Monday and will swim for sectional titles later in the week. Cherry Hill East’s Jackson Brookover. Cherry Hill High School East will be represented in the swimming sectional finals for both the boys and the girls later this week. Both East swimming teams came out on top in their sectional semifinal meets on Monday afternoon at Camden County Technical School. 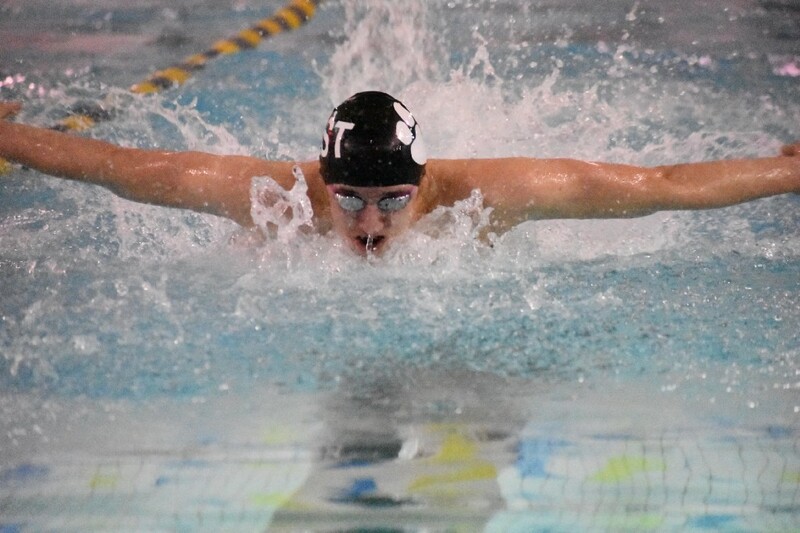 The boys swimming team faced off against Lenape High School in their semifinal meet. The Cougars came out on top, 120–50, with East taking first place in all but one event. It was a team effort for Cherry Hill East as seven different individuals recorded first place finishes on the day. The girls team took on Toms River North in their meet and went on to win, 109–61. Cherry Hill East was buoyed by its relay teams as the Cougars took first place in all three relay events. Annie Behm also had a good performance with first place finishes in the 200 IM and 500 freestyle. Cherry Hill East girls swimming will be first up in the South Jersey Group A final on Wednesday afternoon at GCIT. The Cougars will face the winner of this afternoon’s meet between Egg Harbor Township High School and Cherokee High School. Wednesday’s meet will begin at 3:30 p.m. The boys swimming team will swim in their South Jersey Group A final on Thursday at GCIT. The meet will kick off at 3:30 p.m. Like the girls, the boys will also face the winner of today’s semifinal between Egg Harbor and Cherokee.